Save: Any changes must be saved before they take effect. 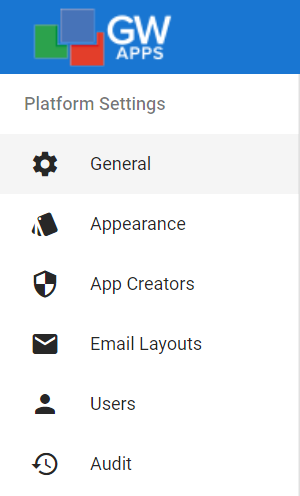 Remember to save before moving on to another settings section or returning to the Applications Dashboard. Company Name Enter the name of the company or organisation. State Select your state, if in the USA. Primary Contact Name This displays the name of your organisation’s primary contact. To update this value please contact a support rep.
Primary Contact Email This displays the email address of your organisation’s primary contact. To update this value please contact a support rep.
Date/Time Format Select the date/Time format that matches your organisation’s normal standard. Timezone Select your organisations timezone. Edit: Click to select an image file from your local computer or available network drive. The image must have either a png, jpg or jpeg file extension. It should be 80 pixels wide by 40 pixels high, and be no larger than 500kB in size. Select the desired color options for the platform as a whole. 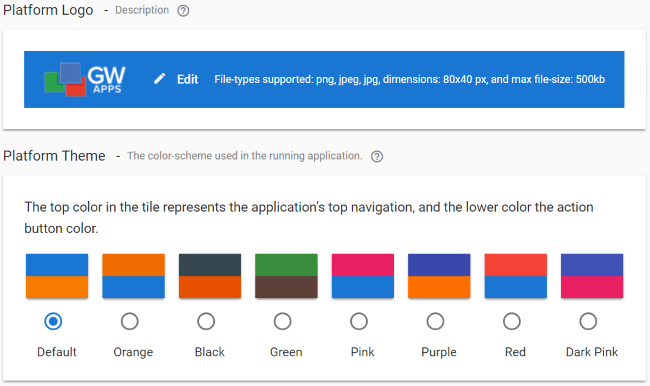 Each application can be set to use its own theme option, but this Platform Settings option sets the colors seen while developing applications and on the user’s Applications Dashboard. Role Select either App Creator, for users who can create and edit apps, or Super Administrator, for users who can also manage the Platform Settings. Add User: Allows you to add a user as either a App Creator or Super Administrator. Optionally you can have an automated email sent to the user letting them know they have been added to the system. Remove User: If you select one or more users, the Remove User icon appears in the top right corner of GW Apps. Clicking Remove User will remove them from the app creator settings of your GW Apps platform. It will not delete them from your organisations user directory. To create a new page, click on the + New Page button, which opens the New Page Dialog to start the creation of a new App Builder page. Email Banner Shows how the email banner will look for all emails sent form your organisation’s apps on the GW Apps platform. * Content can be edited in the form builder This area will be replaced by the real email body content for all actual emails form your organisation’s apps on the GW Apps platform. 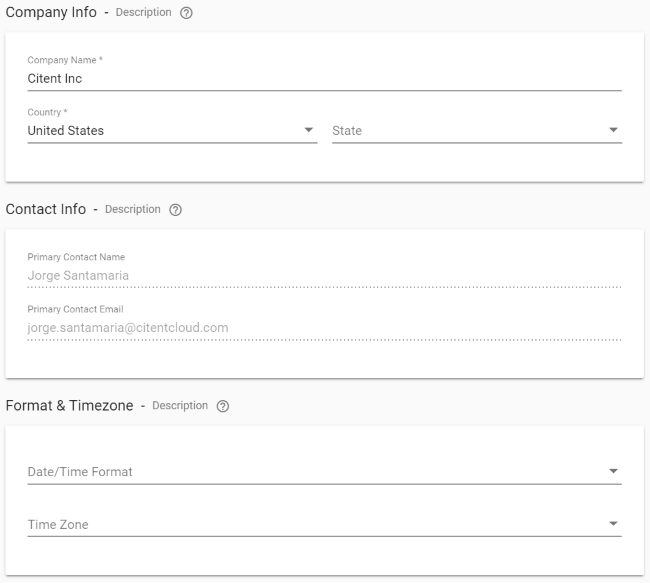 Footer Shows how the email footer will look for all emails sent form your organisation’s apps on the GW Apps platform. Select the color you would like used for the overall email background. Background Select the color you would like used for the email banner background. Font Color Select the color you would like used for the text in the email banner. Background Select the color you would like used for the email body background. Enable Footer Select to control if the footer displays in system emails. 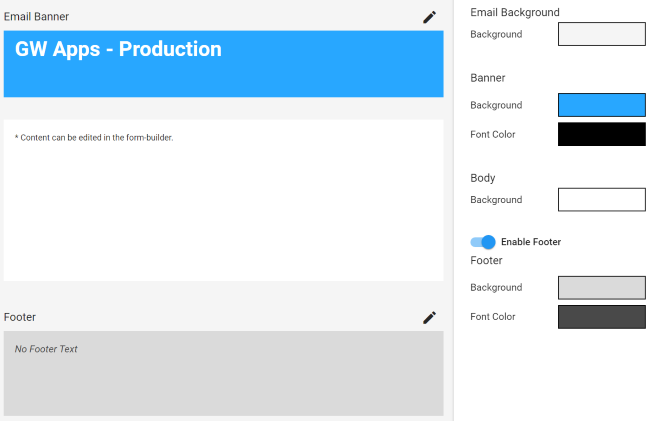 Background Select the color you would like used for the email footer background. Font Color Select the color you would like used for the text in the email footer. Add User: Allows you to add a user. Optionally you can have an automated email sent to the user letting them know they have been added to the system. Import Users: Allows you to import a set of users whose names are listed in a csv file. Search: Click to open a search entry field, where you can type the name of a user and hit enter to search. Last Signed In When the user last signed in, measured in minutes or days as appropriate, or “Hasn’t signed in” if they have not yet used GW Apps. 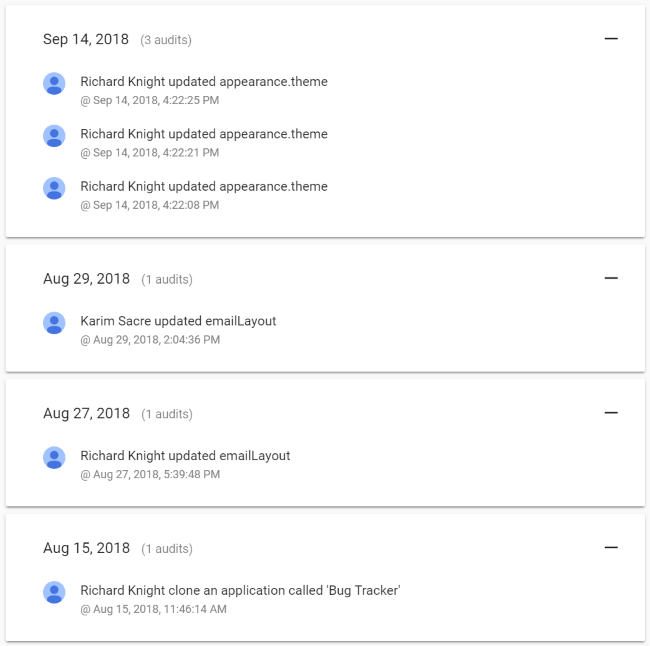 This page displays a reverse chronological history of platform level events, such as creation, deletion or copying of an application, or any changes in Platform Settings.